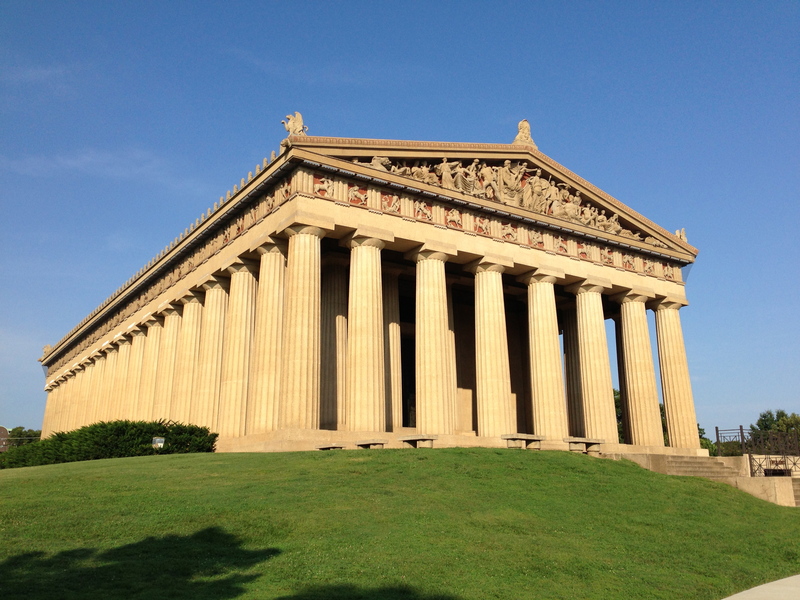 I did not take a photo of Little Rock, Arkansas, so you’ll have to settle for the Parthenon, a life-size replica of the original set in a city park in Nashville. I thought it rather awesome in a sober, humorless way. It conveys the imposing size of the Greek temple without any whimsy. No white gleaming marble, no gaudy paint (as it would have worn back in antiquity). A folly? Too glum, I’d say.